A day spent in the big top waits for you here in Wild Circus, as this circus-themed online video slot game packs all of the fun, chaos and energy of the circus into the reels. Come play onlines slots today! 5 reels and a big 40 pay lines are what you have to work with here, as well as the number of interesting, flamboyant characters and performers who make this game the colourful, vibrant experience that it is. Red Tiger Gaming are the people behind this entertaining slot and such a well thought out and a well-delivered theme is typical of them. Red Tiger have a knack for putting a good sense of humour into their games and this is not the first time that Penguins have had a key role in their games, either - Penguin City provides another good, funny online slot from this well-respected developer. Graphics from Red Tiger are always great and they are well-versed in creating games with a great narrative, too. Do you like to check these amazing slots games out like Wild Circus? Check out more from the developer, Red Tiger. There is a really good sense of humour in this game which is no less than you would expect from a game inspired by the fun of the circus. Like other top-rated slots, this game actually starts with a penguin flying through the air, leading you through a selection of all the symbols and bonuses that the game involves, flying on and on until it lands in position, within a cannon to the right of the reels. Before you start to spin, the penguin, with goggles on, will give you the signal and disappear into the cannon until further notice. 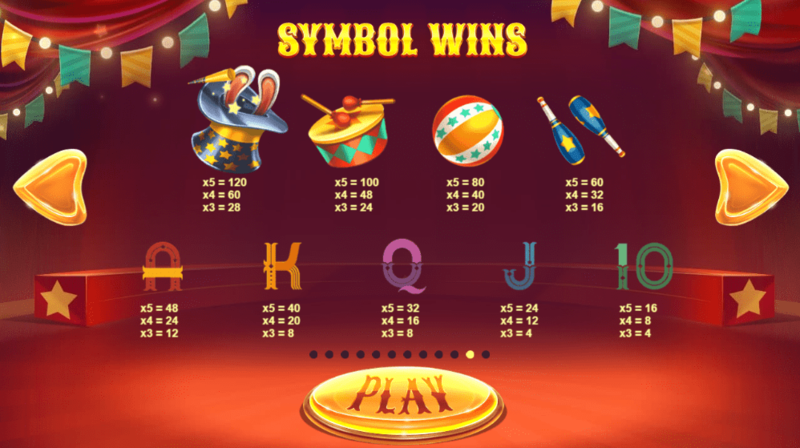 Once your attention is onto the reels, you can expect to see playing card values as the lower paying symbols, with all of A, K, Q, J and 10 involved. Elsewhere, circus imagery makes up the rest of the symbols. A top hat with bunny ears poking out, a beach ball, a drum and some juggling clubs are among them, with a monkey acting as the wild here. Another animal, as the ‘wildness’ of Wild Circus starts to become clear. Landing in a stacked formation, the monkey has the potential to be a very effective symbol, offering up to 120 times your bet when you land 5 of them on a pay line. As for bonus features, there is an abundance of them in Wild Circus. Triggered by bonus symbols, you must land 3 of them in order to have the chance of staying one of the many themed bonus features on offer. Elephant Spins, Fire Breather feature, Jester Spins, Bear Tightrope and Strongman Feature are the options you have, but it is not you chooses the feature that you use. Rather, it is that aforementioned penguin. He will be shot out of his cannon and land on a bonus feature - it is this which indicates what one you play with. 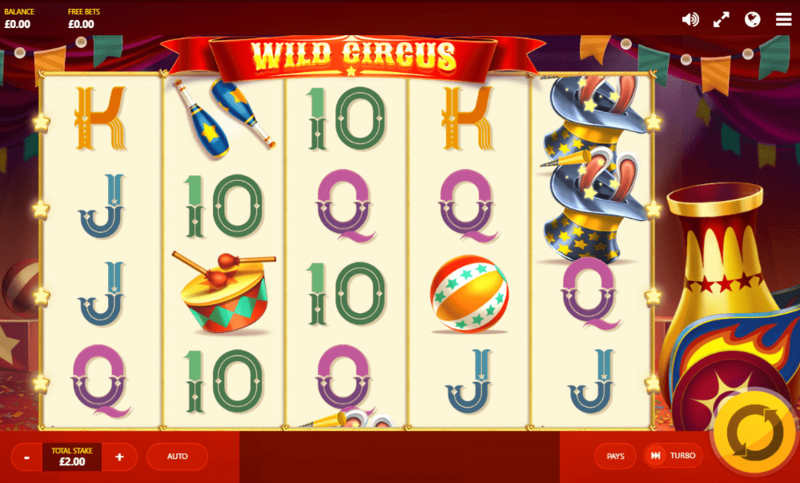 Wild Circus is a really strong online slot game and this is down to the quality of graphics and the good sense of humour and fun that is packed into the game. Using the circus theme to it’s full potential, plenty of fun characters and coinciding bonus features make for a rewarding play in more ways than one. Enjoying playing online slot games? Why not play Wicked Tales: Dark Red?